If you have any questions about the FOUR FLOWERS III information page below please contact us. 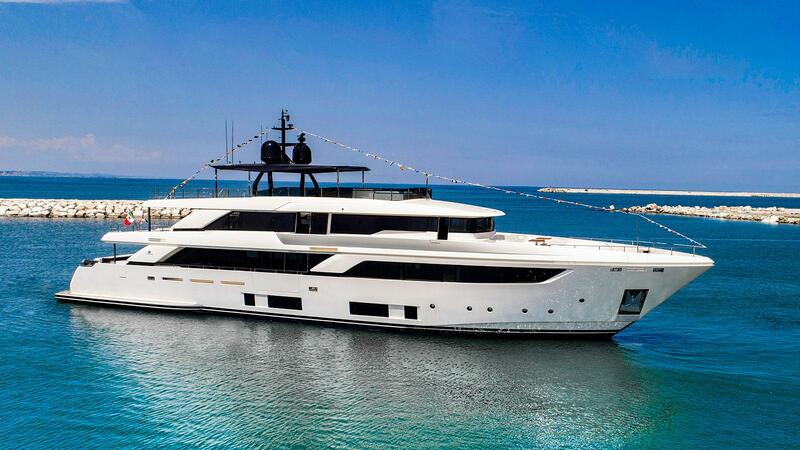 42m/137ft semi-displacement superyacht FOUR FLOWERS III from the Navetta 42 series was built by Ferretti Custom Line and launched in 2018. Her naval engineering was also designed by the shipyard while Zuccon International Project completed her interior and exterior styling. The accommodation sleeps a maximum of 10 guests over five cabins with a crew of seven for excellent service. On the main deck aft, a plush sofa is fitted along the stern with a coffee table and chaise-lounger in front of a casual all-day outdoor lounge. Staircases down the port and starboard sides lead to the swim platform and beach club. The upper deck aft hosts a C-shaped sofa along the stern with coffee tables and armchairs to complete the set. 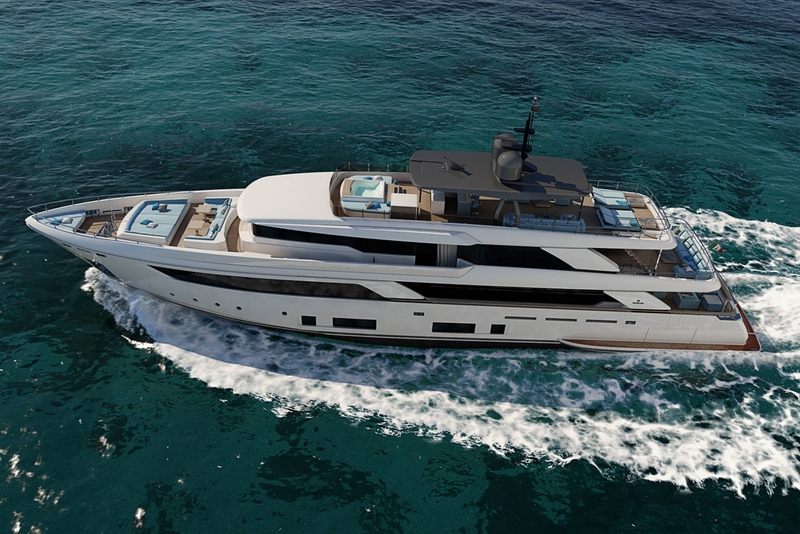 The foredeck offers a C-shaped sofa and two drinks tables in front of the bridge with a broad sunbed taking up the mid-foredeck area. 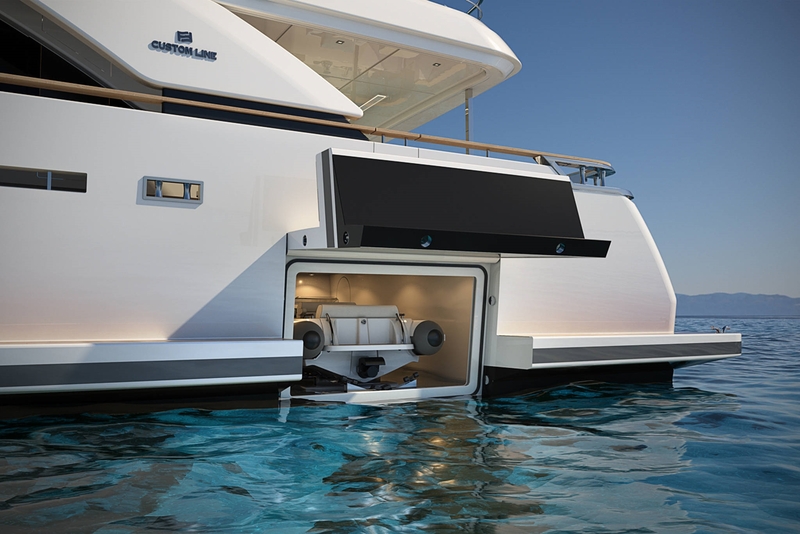 Above, the sundeck places a sizeable Jacuzzi forward with a sun pad on either side. 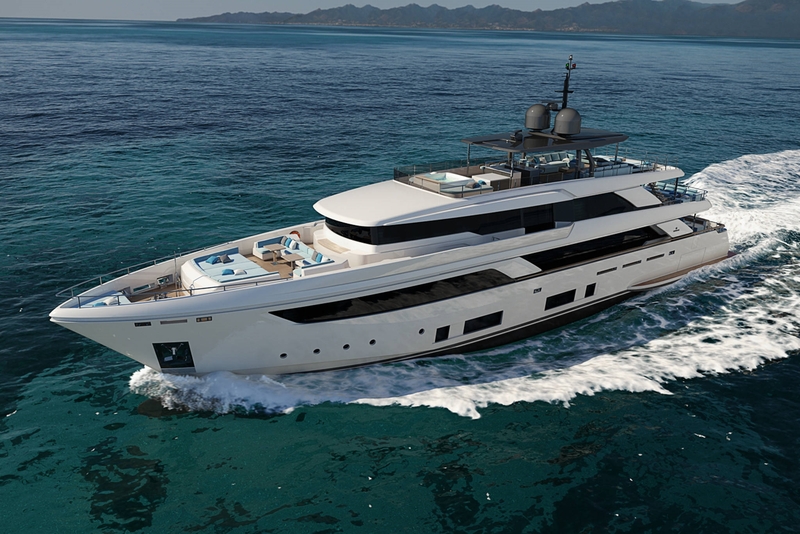 Under the central hardtop, a casual port-side lounge offers an L-shaped sofa and coffee table plus additional seating opposite. The sun-exposed stern hosts an alfresco dining table to seat all 10 guests, and sun loungers take in excellent views to the aft. The lower deck hosts the guest accommodation which consists of four spacious and bright VIP staterooms, plus the crew accommodation. 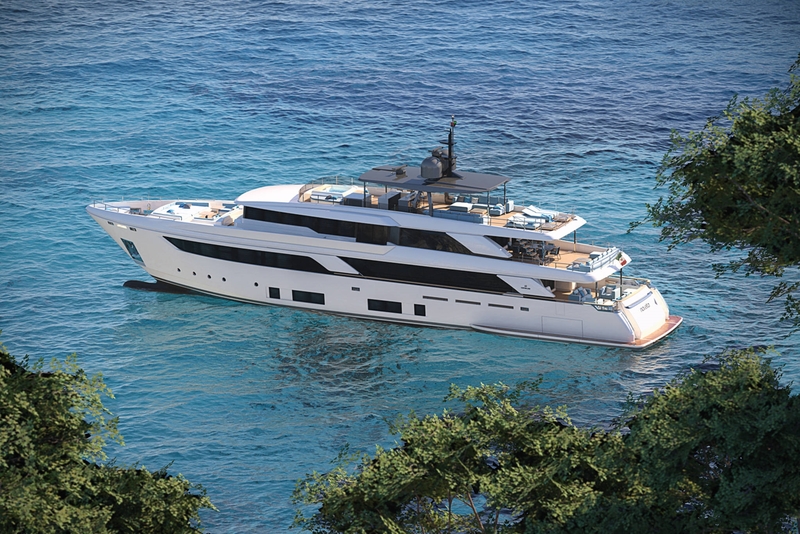 On the main deck forward is the Master suite, where the en-suite bathroom into the bow offers his and hers vanities as well as a shared shower. In the bedroom, there is a starboard balcony through the full-height glass sliding doors and a desk under the port window. A walk-in wardrobe is placed behind with an office between the Master suite and the main foyer. To the aft, the main salon uses an open-plan layout and places the formal dining area forward with both sides opening up to side balconies for a sheltered alfresco dining experience. The lounge treats guests to a sizeable L-shaped sofa and coffee table with additional plush seating against the opposite wall. On the upper deck, the forward section contains the bridge and the Captain's cabin is immediately behind. The sky lounge has a modern wet bar to refresh guests thought any social occasion and there is a side-balcony to port. Sofas line the walls beneath the sizeable windows, and a second formal dining table to seat 10 guests is placed close to the doors to the upper deck aft. 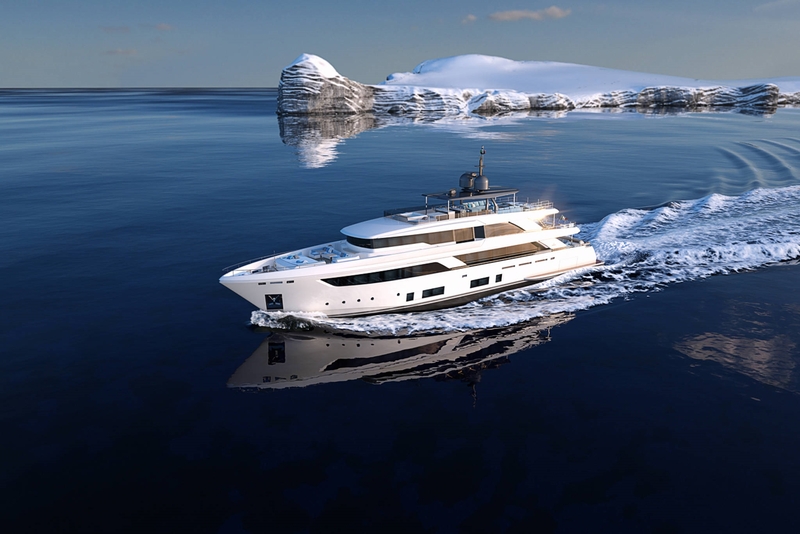 A pair of MTU 12V2000M72 diesel engines producing 1,469 HP each allow for a top speed of 16.5 knots, a cruising speed of 15 knots and a range of 3,000 nautical miles at an economical 10 knots. The accommodation sleeps a maximum of 10 guests across five spacious en-suite cabins: 1 Master suite on the main deck forward and four VIP staterooms located on the lower deck. We do have available further amenity, owner and price information for the 42m (137') yacht FOUR FLOWERS III, so please enquire for more information. The luxury yacht FOUR FLOWERS III displayed on this page is merely informational and she is not necessarily available for yacht charter or for sale, nor is she represented or marketed in anyway by CharterWorld. This web page and the superyacht information contained herein is not contractual. All yacht specifications and informations are displayed in good faith but CharterWorld does not warrant or assume any legal liability or responsibility for the current accuracy, completeness, validity, or usefulness of any superyacht information and/or images displayed. All boat information is subject to change without prior notice and may not be current.